John Pollock reviews this week’s episode of NXT featuring the debut of Matt Riddle, the announcement of the War Games match at TakeOver and Tommaso Ciampa’s match for the event. Martin Bushby, Oli Court & Benno are back to talk Attack Pro Wrestling Goosebumps VI (Team Whitewolf vs. The Hunter Brothers), Revolution Pro Wrestling TV Tapings (Zack Sabre JR vs. Kushida), Global Wars UK (Tomohiro Ishii vs. Minoru Suzuki). 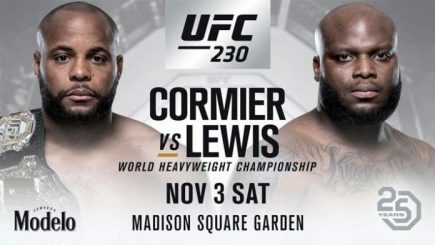 John Pollock is joined by Phil Chertok to preview this Saturday’s UFC 230 card from Madison Square Garden featuring Daniel Cormier defending the heavyweight title against Derrick Lewis. 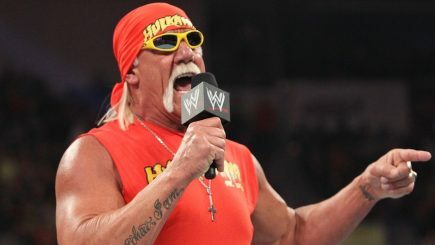 The WWE’s Crown Jewel in Riyadh, Saudi Arabia this Friday could feature Hulk Hogan’s first appearance on camera for the company since his firing in 2015. 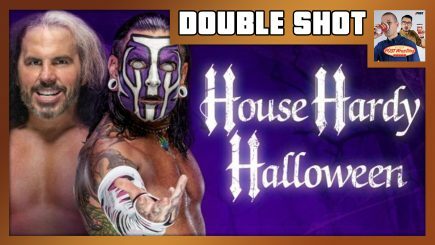 John Pollock & Wai Ting review the House Hardy Halloween special, the UFC’s Ultimate Fighter Season 1 reunion, and Pollock discusses the Hall of Fame candidacy of Edge, CM Punk & Kenny Omega. 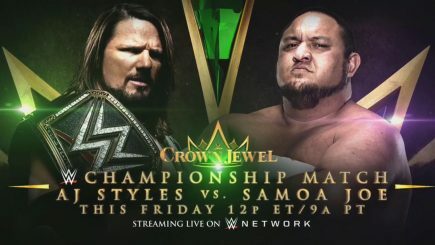 John Pollock and Wai Ting discuss Daniel Bryan being removed from Crown Jewel, Styles vs. Bryan on TV, Samoa Joe’s return, Renee Young possibly joining the Crown Jewel commentary team, this week’s MMC, plus the results of our Facebook Halloween Costume Contest. 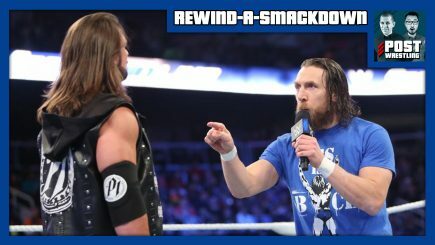 On Tuesday’s episode of the SmackDown Live, an impromptu match was set up with AJ Styles and Daniel Bryan for the WWE title in Atlanta. 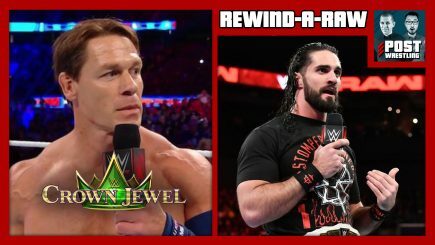 John Pollock & Wai Ting discuss the go-home edition of Raw before Crown Jewel featuring the announcement of John Cena being replaced on the card, DX and Taker/Kane closing the show, and the follow-up to last week’s Dean Ambrose heel turn. 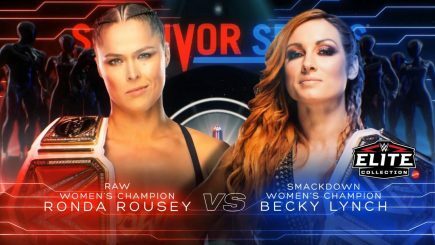 On Raw, it was announced that this year’s Survivor Series event will once again feature a Raw vs. SmackDown theme with the first match announced for the card. 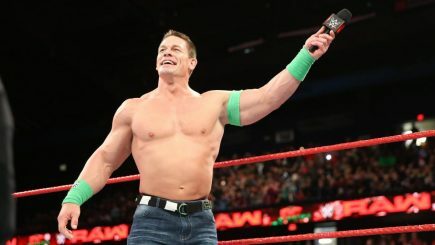 On Monday’s episode of Raw, it was made official that John Cena is off this Friday’s Crown Jewel event in Riyadh, Saudi Arabia. Joey Janela’s Spring Break III sold out immediately on Monday, WrestleMania tickets go on sale Nov. 16, notes from WWE Evolution, a preview of Raw in Charlotte & more. John Pollock & Wai Ting review what they thought was one of WWE’s best shows of the year headlined by Ronda Rousey vs. Nikki Bella, Becky Lynch vs. Charlotte Flair in a Last Man Standing match, and Kairi Sane vs. Shayna Baszler. 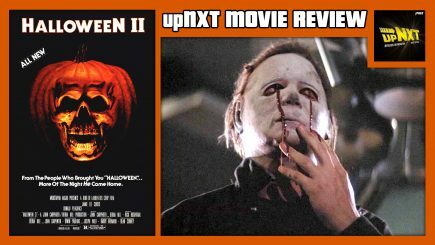 We also discuss the limited production of the show, the commentary team, and the incredible crowd. 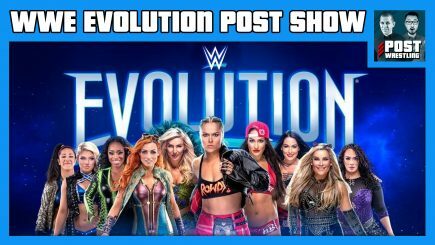 John Pollock previews tonight’s WWE Evolution event from Long Island, featuring Ronda Rousey vs. Nikki Bella for the Raw women’s title. 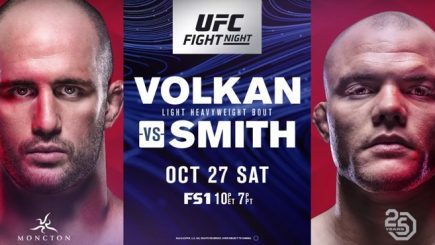 John Pollock runs through Saturday’s UFC Fight Night card from Moncton, headlined by a light heavyweight fight between Volkan Oezdemir and Anthony Smith. 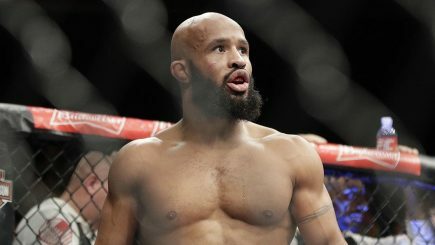 A unique transaction that sends two former champions to new promotions appears to be finalized with Demetrious Johnson and Ben Askren expected to fight for new organizations. 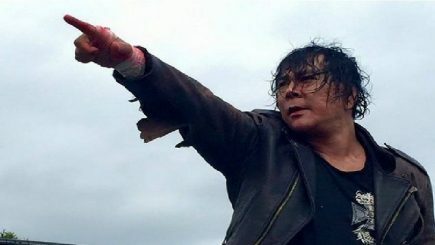 Game Changer Wrestling, which is the promotion behind the annual Spring Break events during WrestleMania Week, has announced that Atsushi Onita will be part of Spring Break III. Episode 19 sees Chris Charlton and Alan Counihan look at 2007. NJPW starts the tradition of calling their biggest show of the year Wrestle Kingdom, which sees New Japan take on the top stars of AJPW. 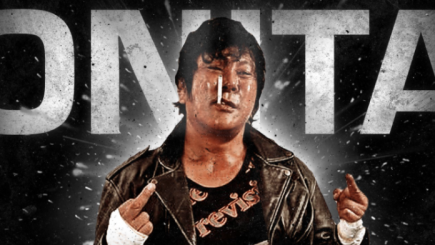 Results are mixed, but Yuji Nagata and Minoru Suzuki are a highlight. The WWE announced Friday evening that Alexa Bliss has been removed from the Evolution event this Sunday due to injury.